Microsoft created and open-sourced ASP.NET as a server-side web application framework for developers to create dynamic web properties. If you're looking for a Windows host to help you launch such a project, you've come to the right place. Here, our developers have thoroughly reviewed the top providers of shared hosting for Windows and ASP.NET users, specifically noting framework version compatibility, uptime rates, and storage, among other features that are mission-critical for this particular niche of developers. Ready to kickstart your ASP.NET website or application? Before you begin with this Microsoft-founded, open-source framework, consider our reviews of the top shared hosting plans for ASP.NET developers. We recommend factoring in database storage, supported software, and price, as well as our expert ratings. Looking for something other than asp.net hosting? It may sound like alphabet soup, but what in the tech space doesn't? Let's talk ASP.NET hosting for devs. As a longtime Linux hosting customer, I never had much awareness for the other options out there. Other than blindly signing up for a Windows plan for about an hour as a brand-new, clueless hosting customer, I’ve stayed firmly ensconced in my PHP-friendly bubble. It wasn’t until years into my career as a writer, designer, and developer that I met a mysterious group of developers — they did many of the same things I did, but they used different letters to describe things. Instead of PHP, it was ASP.NET. Instead of LAMP stacks, I heard about IIS. They seemed like aliens to me at the time, but my hosting horizons have since expanded. After all, when it comes to scripting dynamic websites, applications, and services, why can’t we all just get along? Since Microsoft released ASP.NET in 2002, Microsoft-oriented developers flocked to the server-side scripting framework for its drag-and-drop environment in Visual Studio and seamless interfacing with other languages such as Visual Basic and C#. Finding the right hosting plan and provider for ASP.NET sites and applications can be a challenge, especially considering the ubiquity of Linux and PHP options. To help you on your quest, we’ve compiled a list of features that separate the best from the rest. Fortunately, A2 Hosting excels at high-speed hardware by including performant solid-state drives for free in all tiers of its Windows hosting packages. Those developers looking for pedal-to-the-metal quickness should upgrade to A2’s Turbo servers, which load pages up to 20 times faster than standard hosting options. Turbo servers deliver resources to fewer users, increasing stability and computing power available to each site or application. With Windows hosting plans opening up the door to so many Microsoft programs, developers will want to capitalize on the package with the most number of tools, especially from providers who regularly update the services to the most recent iterations. Again, we recommend A2 Hosting for offering modern components while still supporting several older technologies. In addition to running classic ASP, along with the second, third, and fourth iterations of ASP.NET, A2 runs the most recent .NET Core implementation. The servers run Windows Server 2012, and A2 is one of the first hosts to upgrade to Microsoft SQL Server 2014. GoDaddy gives users a choice of MSSQL 2012 or 2014 but is limited to the MVC 3 framework, while A2 offers MVC 4 and 5. Both hosting providers come with Microsoft Internet Information Services (IIS) 8.5, along with Silverlight 4 and 5, but we love that GoDaddy includes a free Office 365 Outlook mailbox and Microsoft WebMatrix, a cloud-connected website builder. Microsoft SQL Server is the obvious database choice to store data for ASP.NET websites and applications, but site owners can also use MySQL. ASP.NET also works well with Microsoft Access, but that platform isn’t recommended for web applications. Because the licenses for Microsoft products can be expensive, hosting providers often limit the number or size of MSSQL servers. However, HostGator removes all restrictions on ASP.NET hosting customers by including unlimited MySQL or MSSQL databases. We wish the host were running something more recent than MSSQL 2008, but the value is obvious when plans are combined with unlimited storage and bandwidth. Although ASP.NET is an open-source language, the related Microsoft products to create and process your code can make Windows hosting plans an expensive endeavor. PHP is usually hosted on completely open-source LAMP stacks, which stand for Linux, Apache, MySQL, and PHP (or Python or Perl). When it comes to making hosting affordable, few are better than GoDaddy. The world’s leading domain registrar offers several plans, all for less than $10 per month. 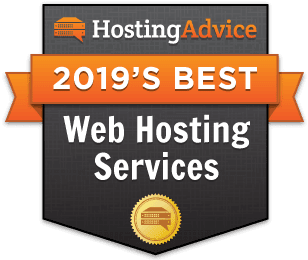 Instead of cutting corners, as free hosts tend to do (we’ll get into that later), GoDaddy provides tons of superb, modern features, including unlimited websites, storage, and bandwidth, as well as a free domain and backups. Around-the-clock security monitoring and DDoS protection keep your website or application running smoothly. Only $1 or so more per month, A2 Hosting pairs affordability with high levels of customer service. In addition to an anytime money-back guarantee, the Michigan-based host employs a team of hosting specialists dubbed the Guru Crew who are available to assist customers 24/7/365. Although PHP continues to dominate the server-side programming marketplace (roughly 15% of sites rely on ASP.NET, compared to 80% of websites that use PHP), ASP.NET enjoys a cult following among experienced developers. Although free anything sounds appealing, trust us — take that code and apply it to an affordable hosting plan from a reputable provider. Free services come and go, and the plans often come with substandard infrastructure or support. That means your website or application will be slow and not terribly secure. Never fear, however: The options we presented higher up on the page will keep your budget at a minimum. You’ll appreciate the added services and server resources.